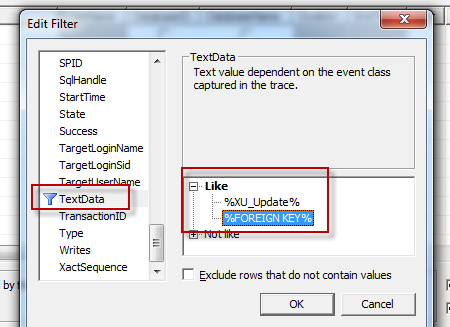 SQL error description: [Microsoft][SQL Server Native Client 10.0][SQL Server]The UPDATE statement conflicted with the FOREIGN KEY constraint "FK_ModelElementData_HasModelId_LayerId". The conflict occurred in database "Dev5_AX2012_model", table "dbo.Model". 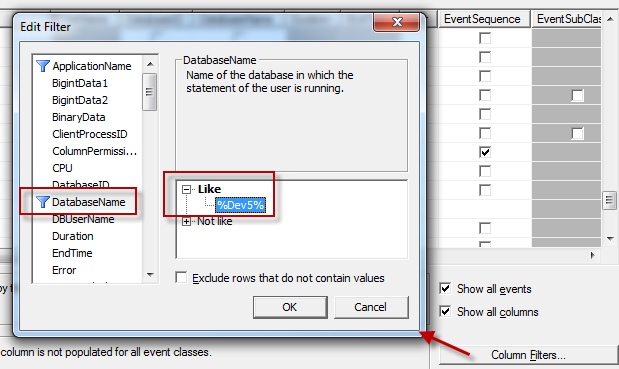 Cannot execute a stored procedure. And that's hardly enough information to solve it. You probably have a USR layer (or some other layer) that was mistakenly created by any number of things that you should delete. First, I have to give credit to this post by Fred Shen that got me started down the right path. He received the same FK_ModelElementData_HasModelId_LayerId error, but with a different root cause. 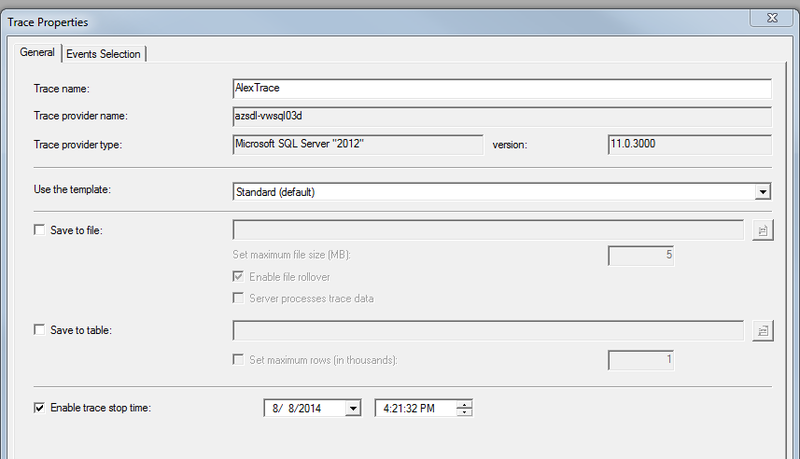 I couldn't use his steps verbatim though because my TFS sync would take 30+ minutes and that would generate tons of SQL profiler data that I couldn't easily sift though. 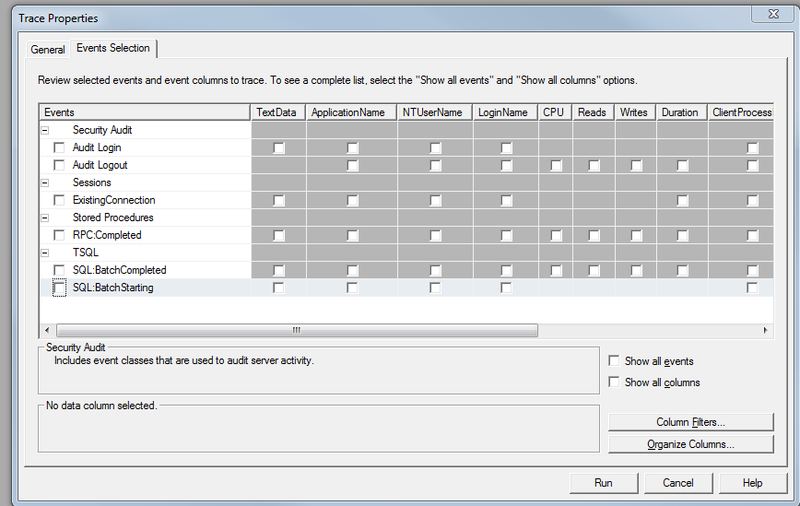 Check "Show all events" and "Show all columns"
Under "Errors and Warnings" check "Exception"
Under "Stored Procedures" check "SP:Starting"
Lastly, click on TextData and put in "%XU_Update%" and "%FOREIGN KEY%"
Run it, then execute a TFS sync or whatever it is you do to cause the exception to be thrown in AX. 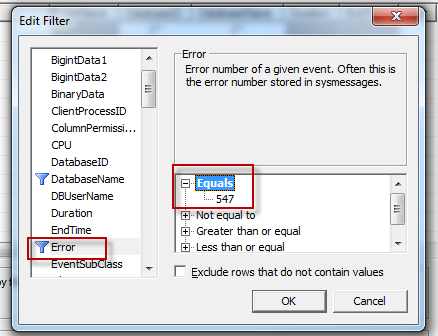 Stop it after you receive the exception and you should see a bright red "Exception" in the profiler. Hopefully this helps somebody identify exactly what is throwing their error! This had me stumped for a while!